At the Institute for Preparing Heirs, we call the historic generational wealth transfer currently underway, The Great Wealth Transfer. While we know the amount of wealth being transferred ($50 trillion over the next several decades), we are just beginning to more fully understand the extent of giving while living—assets being transferred to heirs by means other than estates during the lifetime of wealth holders. Assets are being transferred via trusts, partnerships, direct gifts, private foundations and other vehicles. In addition, wealth is being doled out over time as family needs arise—college tuition, weddings, an unexpected health issue, litigation, and other life-changing events. Today’s affluent clients want more from their advisors. They want an advisor who not only manages their money and manages it well, but also offers guidance and family tools to the entire family that encourage family unity and family financial education. Financial advisors who look beyond the money to help families prepare for a successful wealth transfer, are more likely to retain the heirs (and assets) after the wealth transitions. For families, we define a successful wealth transfer as occurring when heirs receive and manage assets in a manner to foster their development and lifetime goals, and family cohesion remains. For advisors, successful wealth transfer occurs when advisors build a relationship with the entire client family and retain the beneficiaries as clients. Every decade or so, the financial services industry evolves to better serve the client's changing expectations and needs. From professional advisor to trusted advisor, today, the financial advisor will once again step up to become the Trusted Family Advisor—one who goes beyond the money to include the entire family in the new inheritance conversation on generational wealth transfer and planning. 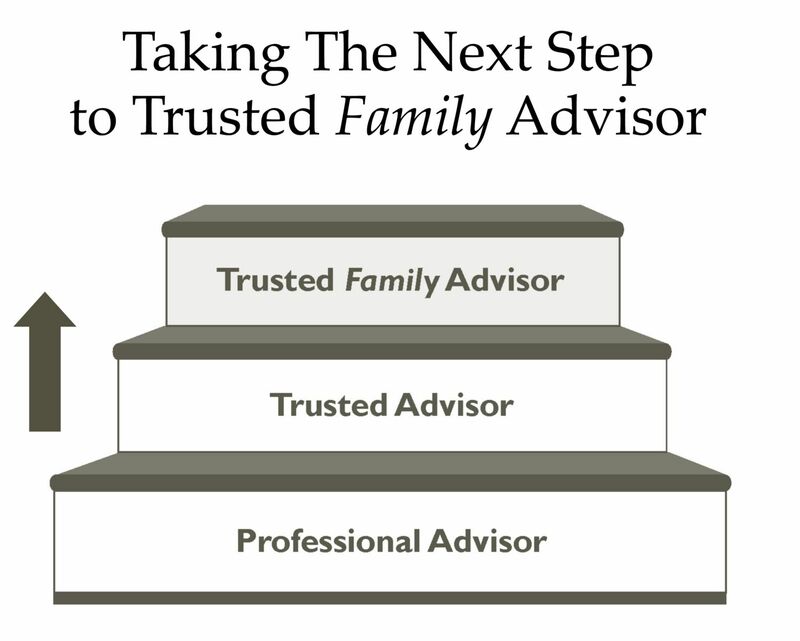 It’s important to note that Trusted Family Advisors don’t need to re-tool their practices or change their stripes. They do, however, need to become knowledgeable and confident in engaging clients in conversations that impact the entire family and the future success of their children. For instance, Trusted Family Advisors make families aware of the types of risks within families that frequently erode assets and family cohesion in the next generations as well as potential litigation post-estate transfer. Twenty years of family field interviews conducted by The Williams Group, a family-wealth consultancy, pinpointed a lack of trust and communication among family members as the number one cause behind the familiar adage: Shirtsleeves to shirtsleeves in three generations. When meeting with clients, schedule extra time to ask about their family after you talk about financial topics Complete a family tree. Ask about their children by name, their spouses, grandchildren and even their family pets. Parents become animated when talking about their family, and it shows that you genuinely care about what is most important to them, beyond their money. Recommend that their children be included in the financial and estate planning process. The conversation does not have to be about how much money there is, but rather, the process and their future roles. 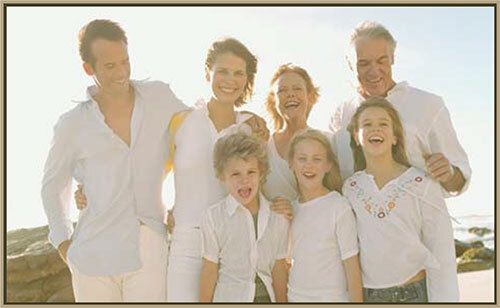 Offer to provide tailored family financial education based upon the needs of each family member. If the family is charitably inclined, suggest a family giving program be used as a learning and unifying tool. Redefining family wealth. The Trusted Family Advisor understands that family wealth includes more than just money and real property. Family wealth also includes intangible assets—family name, knowledge, health, spirituality, family unity, and support of community. By sharing a broader perspective of family wealth with clients, advisors can offer resources and tools for family members to engage in conversations that build trust, open channels of communications, share common values that help give purpose and meaning for the family wealth, practice joint decision making and prepare the heirs for their family roles—all key contributors to successful wealth transfer. Introducing the benefits of family meetings. When conducted properly, family meetings are forums for creating fun meaningful conversations, build lasting family unity, and preserve family legacy. 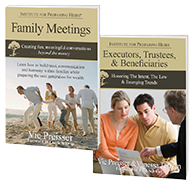 Helpful family resources include the book, Family Meetings by Vic Preisser, a how-to guide for setting up and holding a family meeting. Collaborating with other like-minded advisors. The Trusted Family Advisor seeks out other trusted advisors (estate planning attorney, tax and insurance advisors) to collaborate, share resources (and introductions), and explore how to work together for the benefit of their client families and to retain and grow their businesses. 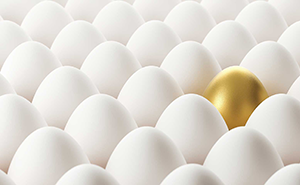 The Trusted Family Advisor is the new differentiator in wealth management. Enlightened advisors that step up now and seek out resources that offer new thinking, new knowledge and new tools will be a step ahead of the competition during The Great Wealth Transfer.